Expecting the gym to be an intimidating, testosterone-filled place that you’d prefer to avoid? You’d be wrong. The gym is somewhere that can become your favourite place, somewhere that you can enjoy a social life and somewhere, more importantly than anything else, you can get yourself into better shape. If you’re new to the gym don’t be afraid just keep our newbie tips in mind. Take advantage of your free induction. It’ll help you get acquainted with the equipment and get to know at least one staff member so there’s a friendly face to look out for. You should be shown how some equipment works so you can confidently get started too. You may have ambitions of weight lifting in the future but don’t head straight for the barbells. Stick to the machine weights to begin with – they’re easy to setup and use. Head to the free weights when your confidence has grown. 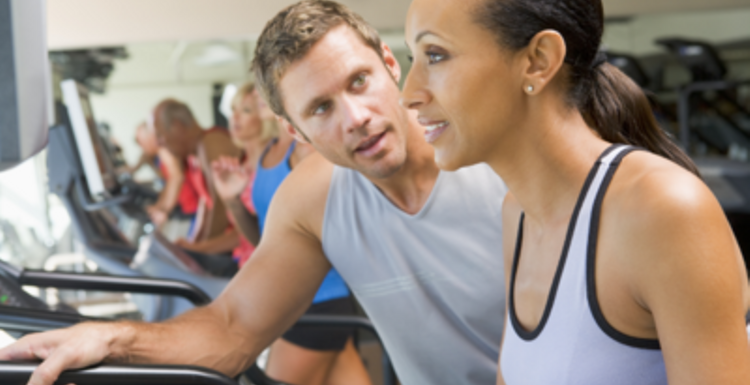 Experts recommend investing in personal training but only now and again. One session every 4-6 weeks could be enough to help you tailor your training in the right direction for your goals. They also provide reassurance and motivation that you may be looking for. If you’re feeling uncomfortable or intimidating just remember – you are a paying customer as much as anybody else. Never feel that you shouldn’t be in the weights area or you’ve been on the cross trainer too long. You can work out where you want to work out, when you want to work out – you pay for the privilege! If you have a question find a staff member and ask it. No question is stupid and no question should be left unanswered if you think it will improve your experience or help you in your training. The staff are genuinely there to help and have the experience to do so. The first step is to get to that gym and just get started. I've converted quite a few friends to the gym. Whenever someone is interested but intimidated, I tell them it's like shopping - if shop assistants are rude and you don't like the stuff on sale, you just walk out and spend your money elsewhere. I'm going to share this with a couple of the guys at work. I have suggested coming to the gym a few times and always been brushed off. This may get at least one of them to join me! indeed - instructors are so important in any sport. A friendly welcome, a professional and non-patronising attitude and a real enthusiasm make all the difference between a one-time visitor and a regular attendee. Expect nothing less from your instructor! It's a while since I was a 'newbie' but I found my induction session important. The instructor made me feel so much confident.Once I knew how to use the machines I wanted I was away! I also asked lots of questions, though I felt embarrassed. But like this article says, if you pay for the gym you are entitled to ask anything you want! I love the gym. No one stares at you like you imagine, it's just a load of people all trying to get fitter.